The Russian ruble is rallying as oil prices climb ahead of OPEC’s meeting in Vienna later this week. 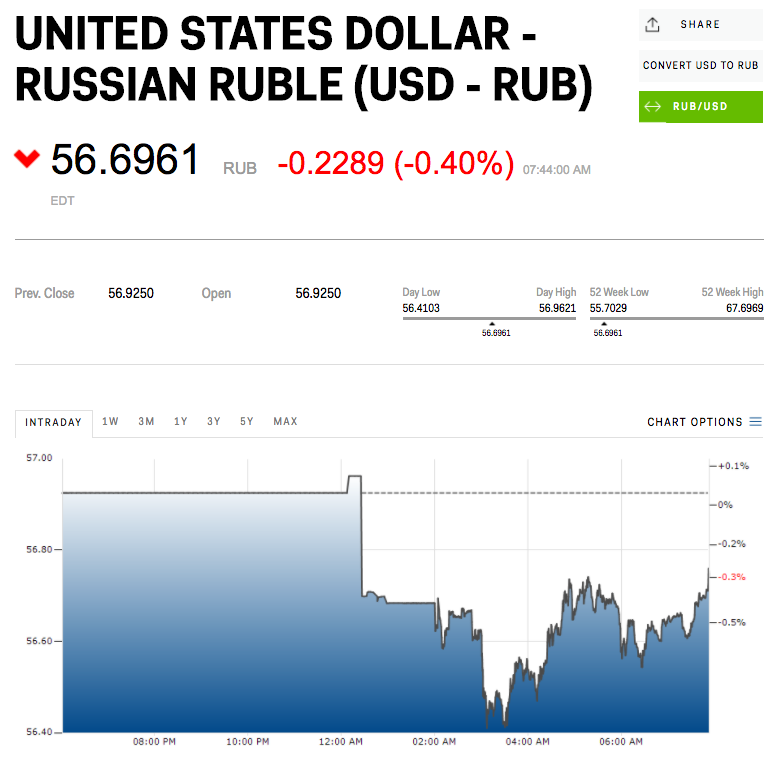 The petrocurrency was up by 0.4% at 56.6961 per dollar as of 7:55 a.m. ET. Brent crude oil, the international benchmark, was higher by 0.9% at $54.09 per barrel, while WTI crude oil, the US benchmark, was up by 1.0% at $51.16 per barrel. OPEC officials are meeting Thursday, and will be discussing whether to extend production cuts.